We’d love your help. Let us know what’s wrong with this preview of The Physick Book of Deliverance Dane by Katherine Howe. Harvard graduate student Connie Goodwin needs to spend her summer doing research for her doctoral dissertation. But when her mother asks her to handle the sale of Connie's grandmother's abandoned A spellbinding, beautifully written novel that moves between contemporary times and one of the most fascinating and disturbing periods in American history--the Salem witch trials. To ask other readers questions about The Physick Book of Deliverance Dane, please sign up. Just wondering if this is age appropriate for 5th grade? I'm looking for a road trip book and I am too lazy to read it before we borrow it on audio. This answer contains spoilers… (view spoiler)[ I don't think it was meant to protect Connie by keeping bad things/people OUT, period, but by keeping her safe (and helping her come to know what she…more I don't think it was meant to protect Connie by keeping bad things/people OUT, period, but by keeping her safe (and helping her come to know what she needed to do) inside of the house. Hence her mother hinting to her that she would be better off doing whatever "on her own turf." I'VE GOT A PROBLEM WITH THIS BOOK ALREADY!!! On page 35 when Liz asks Connie, "Did you ever meet her (Granna)? ", Connie answers that her mother told her that she met her grandmother when she came to visit them in Concord. When Liz asks, "Do you remember any of this? ", Connie says, "Not really. I think maybe I remember her dying.....I must have been abo I'VE GOT A PROBLEM WITH THIS BOOK ALREADY!!! On page 35 when Liz asks Connie, "Did you ever meet her (Granna)? ", Connie answers that her mother told her that she met her grandmother when she came to visit them in Concord. When Liz asks, "Do you remember any of this? ", Connie says, "Not really. I think maybe I remember her dying.....I must have been about three or four." Then on page 44 it describes the "only Christmas with Granna that Connie could remember" when her grandmother brought hand knit sweaters that didn't fit right and Connie "chuckled with affection at the memory". Besides the fact that Connie already said she didn't remember her Granna, I also don't think a 3 or 4 year old child would comprehend the situation well enough to "chuckle at the memory" 20 years later. Seriously, this is a real problem for me. Even if the author was this careless in the continuity of the story, its hard to believe that it was never caught in editing. Connie is flat out dumb! She supposedly has a masters degree in Colonial History yet she didn't know that "receipt" means "recipe" in that time period. She acts as though she never heard names like Patience and Prudence, which were common in the time period that she has supposedly studied for years. The moment when she figures out that Mercy and Marcy are the same name (just add the Brahmin accent and spell it like it sounds) is nothing short of DUHHHHH. She reads Prudence's journal which talks about going to deliver the neighbors' babies. A few hours later she has a eureka moment when she realizes that, hey, Prudence was a midwife! Puzzling over directions to put something in a "witch bottel", Connie scratches her head in bewilderment until she figures out that "bottel" must be the phonetic spelling of "bottle" therefore it must be "witch bottle". (Good thing the author spelled it out for those of us who might not have made that connection.) These are just a few examples of what a dim bulb Connie is although she is supposedly a PhD candidate. It is difficult to warm up to a main character who is such a poseur - in this case as an intellectual. I wanted to like it, if only because of the subject matter and the great cover art. This is a book I might have read when I was 14 and loved it. But I take a huge exception with the review excerpt that compares this book to The Historian by Elizabeth Kostova. This book is written on a 7th grade reading level compared to Kostova's rich, layered, deeply woven tapestry of vampire lore. It is like comparing a Harlequin Romance to Gone With the Wind because they both take place in the South. The best parts of the book were the finely detailed scenes of daily life in the flashback chapters. The author has done a great job illustrating the speech patterns, behaviors, beliefs and habits of 18th century New Englanders. The book would have been so much better if she had focused more on that part of the story where she really shines. The modern day story was so trite and repetitious (how many times does Connie say, "Mom...." in an exasperated tone of voice?) that it diluted the impact of the riveting historical narrative. The over the top ending did nothing to redeem the story. It had a cartoonish quality that, again, would have been much more suitable in a book for young readers than a novel that aspires to be taken the least bit seriously. If you're eagerly looking forward to reading this book, avoid my scathing review. Sorry folks, if this review seems unkind, but I've got major hater tots for this book. I'm not averse to great detail if it's germane to the story or at least interesting, amusing, or informative. But must Ms. Howe describe for us each and every slant of light that passes through every window, and the piece of furniture or floor on which that slant of light falls? And the facial expression of every character in the If you're eagerly looking forward to reading this book, avoid my scathing review. Sorry folks, if this review seems unkind, but I've got major hater tots for this book. I'm not averse to great detail if it's germane to the story or at least interesting, amusing, or informative. But must Ms. Howe describe for us each and every slant of light that passes through every window, and the piece of furniture or floor on which that slant of light falls? And the facial expression of every character in the room and precisely how they sit or fold their hands? Trying to read this book was like having Katherine Howe jumping up and down in front of me waving her arms and saying, "SEE?!! See how GOOD I am at describing stuff?! SEE?!!" Yes, I see that you possess descriptive abilities, abilities much better suited to technical writing than to novels. I only rated this as high as I did because I thought the idea was really interesting but honestly the execution was terrible. The main character was so boring and flat and every time she had a thought I wanted to smash my head into the wall. The professor over seeing her dissertation was a creep, and her mother didn't appeal to me at all either. The writing was so slow and I really had to force myself to finish this one. Also it really stretched my suspension of disbelief especially believing th I only rated this as high as I did because I thought the idea was really interesting but honestly the execution was terrible. The main character was so boring and flat and every time she had a thought I wanted to smash my head into the wall. The professor over seeing her dissertation was a creep, and her mother didn't appeal to me at all either. The writing was so slow and I really had to force myself to finish this one. Also it really stretched my suspension of disbelief especially believing that the main character is supposed to be intelligent like yeah okay. I'm so bored of skinny attractive smart girls who are insecure but still persevere. It was also pretty convenient how she met that hot guy who just happens to ends up helping her out with her mystery. I really wish I could get a refund for the time I spent making myself finish reading this. There was so much that led me to believe I would thoroughly love this book. The topic is of interest to me on lots of levels (I too am related to many of the individuals on both sides of the Salem trials), I've visited the area before, the author has great credentials and has been educated at outstanding schools, the cover is beautiful, the publisher is pouring out a great deal of money into hype, and I enjoy historical fiction as well as looking at something from a different angle. I so looked There was so much that led me to believe I would thoroughly love this book. The topic is of interest to me on lots of levels (I too am related to many of the individuals on both sides of the Salem trials), I've visited the area before, the author has great credentials and has been educated at outstanding schools, the cover is beautiful, the publisher is pouring out a great deal of money into hype, and I enjoy historical fiction as well as looking at something from a different angle. I so looked forward to receiving my copy and when it arrived, I was delighted with the beautiful cover and feel of the book. I began to read it right away. Yet it fell totally flat and I was very disappointed. The story is stretched beyond the breaking point into silliness. This pseudo-memoir of the author's journey through the education system was full of stereotypes galore. In my opinion, the author perpetuates misconceptions and misinformation, not only about those innocent victims of hysteria but about the education system, Wicca, abilities that transcend current science, and people in general. In many ways, I was disappointed and vaguely offended with what felt like disrespect to my own intelligence as a reader. This book's hype probably contributed a great deal to my disappointment. If all I expected was a light read after a long day, this probably would have been ok. But I expected a lot better. Fortunately for the author, others like this book and will encourage others to buy it. •In compliance with FTC guidelines, received the book for free through Barnes & Noble's First Reads. Usually I'm not the type of person to just randomly go out to Barnes and Noble and buy a book that I'm not sure I'll enjoy. Something about this book pulled me in, though, and it didn't let go of me until I finished it just now. I loved this book. Katherine Howe weaves her story with the finesse of a practiced writer, not someone who's just published her first novel. There was something about her writing style that I just couldn't get enough of. It wasn't too simple, but it wasn't too difficult Usually I'm not the type of person to just randomly go out to Barnes and Noble and buy a book that I'm not sure I'll enjoy. Something about this book pulled me in, though, and it didn't let go of me until I finished it just now. I loved this book. Katherine Howe weaves her story with the finesse of a practiced writer, not someone who's just published her first novel. There was something about her writing style that I just couldn't get enough of. It wasn't too simple, but it wasn't too difficult either--just balanced enough so that I was sucked into the story. Her switch between Massachusetts in the early 1990s and Massachusetts in the 1690s was smooth and effortless. I enjoyed that it didn't feel like there were two separate stories going on; they were both so entwined that it seemed that each was affecting and influencing each other. Her characters were all very well-developed, and the history was clearly well-researched and accurate. There weren't any hanging plot lines, so it was nice to see a story nicely wrapped up while still allowing the reader to speculate on the future of the characters. I also loved how Katherine Howe wrote the character of Connie, as a fact-driven, meticulous grad student, because if she hadn't done Connie that way, the second part of the book would have been too unbelievable. That being said, I thought she wrote that wisely and believably. Like I mentioned earlier, I found that the historical parts of the book seemed very accurate, so I'd recommend this book to fans of historical fiction. The only minor thing that got to me about this book was that some of her vocabulary choices and some of the dialect of the 1600s were a little jarring. That being said, I suppose the dialect was true to its time and would only naturally come a little awkwardly to me. It was nice to be able to delve into the lives of some of those accused in Salem. I found this to be one of the most unique takes on the period, as well, i.e. what if we didn't have the hindsight that modern America does? What if witchcraft is as real a problem as the flu, especially in the days when modern medical answers weren't available? What if there were real witches and not just women who fell victim to being low on the social ladder or young girls who "ate moldy bread"? First, I did like this book. It is a great summer beach book; BUT it was much, much lighter than I thought it was going to be and given the hype I had been hoping for much more. The juxtaposition of the historical story and the modern story were very well done and the characters were likable and well thought out. The relationships between the characters in each time period were very real and believable and the descriptions of historical Salem and Marblehead and the Salem Witch Trials were intere First, I did like this book. It is a great summer beach book; BUT it was much, much lighter than I thought it was going to be and given the hype I had been hoping for much more. The juxtaposition of the historical story and the modern story were very well done and the characters were likable and well thought out. The relationships between the characters in each time period were very real and believable and the descriptions of historical Salem and Marblehead and the Salem Witch Trials were interesting and added a necessary richness to the tale. Now, that said, perhaps I have read way too many mysteries and I'm just getting really, really good at figuring things out, but I'd figured out pretty much the entire story for the most part, before I hit the middle of the book. I thought that the main character of Connie Goodwin seemed a little dim-witted for a graduate student in history, missing many many obvious answers in materials she was researching for clues to her mystery. So many that I found this small piece highly irritating and it did detract from my enjoyment of the story. The Publisher Says: A spellbinding, beautifully written novel that moves between contemporary times and one of the most fascinating and disturbing periods in American history-the Salem witch trials. My Review: This pretty-looking book was urged upon me by a fellow bookaholic whose previous urged reading, The Hummingbird's Daughter, was so ghastly and generally unpleasant to read that I was worried this book would be a stinker too. After all, hype + feminism + supernatural goins-on = *groan* for the typical Y-chromosome bearer. I was completely wrong. I'm sorry I waited to read it. Don't mistake me, it's a first novel with first-novel flaws, but it's a very good read and it's a promising debut. The basic story, a grad student in American History's discovery of a previously unknown primary source for data on the Salem witch trials, is built to excite the historian in me. The book itself, being a recipes-and-remedies book written by multiple generations of gifted women, also hooks my attention immediately. The author, who is descended from an accused witch from Salem and who counts another, who died there, among her connections, is uniquely placed to make this story exciting. She is also a grad student, and she's made of storytelling stuff. No one who comes from such a lineage could escape the desire to make use of such great material. Considering the number of books, fiction and non, published about Salem, not many have tried. But Howe makes us invest in so much more than just the Salem-ness of the tale. She brings her creations to a simmer early in the book, and then lets 'em fly on the boil with a finely adjusted sense of pacing that I wish she'd teach to other novelists. Hey, pobody's nerfect, right? I forgive these flaws because the story is so tightly paced, and so much of the time is spent with delightful characters, that it's an overall joy to read. Buy it new, in paperback, and you'll a) love the object itself since the publisher made a beautiful book, and b) support an author whose future work bids fair to make your dollars well spent. Very much recommended. This has gotten a lot of buzz lately in the library world. Four librarians including myself had holds on it before it even arrived at the building. Apparently we'd all been hooked by the same intriguing blurb. Don't make the same mistake! A historical mystery that is slow to no purpose, containing flat, unexceptional writing and an utterly predictable and unoriginal plot. Whatever, I guess it was fine. Just, am annoyed from having to be reminded once again that one must read reviews with great b This has gotten a lot of buzz lately in the library world. Four librarians including myself had holds on it before it even arrived at the building. Apparently we'd all been hooked by the same intriguing blurb. Don't make the same mistake! A historical mystery that is slow to no purpose, containing flat, unexceptional writing and an utterly predictable and unoriginal plot. This is the story of Connie Goodwin, a doctoral candidate in American History at Harvard, who (upon her mother’s request) spends the summer cleaning and clearing out her grandmother's house that has been vacant for 20 years in Marblehead, Massachusetts. Little did Connie know what she was in store for when she agreed to this tedious task. While browsing through her grandmother’s old books, Connie stumbles upon a very old key in a bible. Attached to this key is an equally old slip of paper with t This is the story of Connie Goodwin, a doctoral candidate in American History at Harvard, who (upon her mother’s request) spends the summer cleaning and clearing out her grandmother's house that has been vacant for 20 years in Marblehead, Massachusetts. Little did Connie know what she was in store for when she agreed to this tedious task. While browsing through her grandmother’s old books, Connie stumbles upon a very old key in a bible. Attached to this key is an equally old slip of paper with the name, Deliverance Dane. Told through flashbacks from Salem in the late 1690's we learn the story of Deliverance, a woman condemned as a witch in 1692, her daughter and eventually her granddaughter, as well as the history of the "Receipt Book" which is handed down from generation to generation. As Connie tries to get the house back to rights in order to sell it for lack of payment of taxes, she is also working on her doctorate course and is persuaded by her adviser to find Deliverance's physick book otherwise known as a Shadow Book which might be the perfect topic for her doctorate - having found an unknown Salem witch. I could not put this down! -- this is historical fiction at it's finest. It makes you want to know more about the time and immerses you wholly in it's world. The link in the story between contemporary times and the past is gripping as well as the commentary on religion and the Salem Witch Trials. I especially liked that Ms. Crouch uses so much detail when describing Salem in 1692. The houses, the way they talked, dressed, lived was all very detailed. She uses real names and events to depict Deliverance’s demise. She definitely did her research and it was neat to read that she was related to two of the named witches. I highly recommend this. The story begins in 1681 when young healer Deliverance Dane visits the home of Peter Petford and attempts to help his ailing 5 year old daughter Martha. Fast forward to 1991: Harvard University, where our main character Connie Goodwin is getting ready to answer some final questions in her qualifying exam for PhD candidacy. She is hoping to pass the orals, and spend the upcoming summer preparing her thesis on some aspect of American colonial history. A detour in her well laid plans occurs when her hippy, new-agey mother asks her to travel to Marblehead, Mass. and prepare her deceased grandmother's old house for sale. The house hasn't been lived in for 20 years, and is filled to the brim with the accumlated trash/treasure of centuries. What Connie discovers when cleaning out her granna's house is the basis for this lackluster tale of magic, superstition, prejudice and greed. This book had all the potential to be a clear favorite with me. You've got your Salem Witch trials, you've got your old house filled with secrets, you've got a story imbued with hints of real magic and supernatural elements, you've got a young woman with links and connections to other women centuries past, and you've got your wee canny canine. What's not to love? Well, almost everything. I will say that I did enjoy Howe's story featuring Deliverance Dane and her life. These snippets occured sporatically throughout the book, and were interesting and entertaining. Had the entire book been about Deliverance, I would probably have given this book 4 stars or more. Unfortunately, the majority of the book focused on modern day Connie, surely one of the stupidest candidates for PhD candidacy that Harvard has ever considered. Connie, while touted by the writer as a brilliant and clever young mind destined for BIG things in the world of colonial academia, displayes mind boggling idiocy when it comes to the most simple observations on colonial life. She is amazed and stunned by phonetic spellings of colonial first names (i.e. Marcy = Mercy - SHAAAZAM, who'd have guessed?!?). Although she is a born and Massachusetts native, she continually marvels over the speach patterns displayed by Boston Brahmins and similar citizens of her native state. WTH? Umm, people generally notice variations in speech when they are NOT native to the area, but Connie apparently finds the style of speech of her people extraordinary. In fact, Connie is so incredibly dense (view spoiler)[ that her very own full name, "Constance", completely floors her with it's colonial associations. In point of fact, she even seems to forget that her name is Constance. Will somebody please explain to me how this is possible without amnesia or a full frontal lobotomy? (hide spoiler)]. Connie is, IMO, so stupid, so uninspiring, so vapid a creature that it boggles the mind to think (view spoiler)[ she could ever share one atom of genetic material with the interesting Deliverance (hide spoiler)]. And as Connie's story makes up 90% of the book's plot, it makes for a very tedious and boring story. The wonder of it all is that I gave it 2.5 stars, but I did find parts of it very moving and page turning. For as long as I can remember, I’ve been fascinated with the Salem witch hunts. Even as a young girl in elementary school, I read books, watched movies and loved listening to stories about the witch trials and the events leading up to them. So when I saw The Physick Book of Deliverance Dane, it goes without saying that I just had to have it. Overall, this was a great story, with a fun twist, that I couldn’t put down. It had me imaging what it would be like if I had lived during this time period, and answered questions I’ve long had. And I even shed a few tears over what it must have been like for the families of the accused. Historic and modern-day Massachusetts reunite in this tale of one woman's unintentional climb through her family tree. Connie discovers more than she bargains for while researching for her doctoral dissertation. - I have read several books about the Salem witch trials, but none that were based in modern times. This put the trials into a new perspective and was, to me, an original take on that history. - From the postscript, we learn that Katherine Howe herself can trace her lineage back to two accused witches. This fact lends an air of authority, truthfulness, and connectedness to the tale. - I loved the Interludes where we popped back in time to revisit several members of the Dane family line as they practiced their craft, defended themselves, and made their living in their highly suspicious environment. - The characters were fleshed out, the setting well-established, and the pacing was steady. - The cover art pulled me in even before the story did. - Connie's mother, Grace, was intended to be mysterious, but maybe too much so. I felt sure that we would get more exposure to an explanation from her, but the book ended without that being the case. 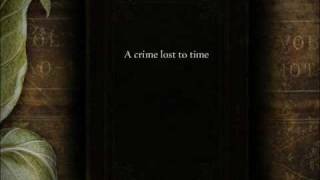 - Once again - as often happens in suspenseful novels - the story ended without much follow-up after the resolution. I guess it may just be me, but with good books, I hate to let them end without knowing what happens with the main characters, their relationships, and their careers. I guess that's why I read so many series. This was a well-paced, entertaining work of historical fiction written in a way that kept me hooked. Four well-earned stars. Also, I guessed the villain and the "big twist" fairly early, which didn't help. Very badly written "mystery" that manages to make the Salem era boring. The average reader picks up the clues entire chapters before Our Heroine, Connie, figures them out, and often has to stop reading long enough for her to catch up. I think this book was set in 1991 so that Connie would not have access to the Internet. A few hours on Google or Wikipedia might have solved the mystery in an afternoon. As several other reviewers have pointed out, the heroine doesn't seem to possess enough brain m Very badly written "mystery" that manages to make the Salem era boring. The average reader picks up the clues entire chapters before Our Heroine, Connie, figures them out, and often has to stop reading long enough for her to catch up. I think this book was set in 1991 so that Connie would not have access to the Internet. A few hours on Google or Wikipedia might have solved the mystery in an afternoon. As several other reviewers have pointed out, the heroine doesn't seem to possess enough brain matter to complete a simple crossword puzzle, never mind work on her PhD while simultaneously solving a Big Mystery. Connie also has a house that doesn't decay through time or neglect, although I guess we could believe it has a handy magic spell protecting it from wood-rot, mice, and holes in the roof. And seriously, if you are on the hunt for a missing book, maybe you could explore the actual house where you found the big clue. And when Connie had the big revelation that her real name was Constance???? Did she really forget her own name? Considering that the main characters are called Deliverance, Mercy, Prudence and Grace, is it too much to ask that Connie picks up on the fact that her own biblically inspired moniker might be relevant? Plus, the author clearly has an issue with shop clerks and library staff; almost every single one is rude and unhelpful and makes Poor Connie do all the nasty grunt work herself. And if you want to write a story set in another era, feel free to sprinkle the dialogue with "thou" and "thee", but please refrain from using phonetic spellings of the local dialect. Bravo to whoever was responsible for the book jacket. I was drawn in by a glowing review from Matthew Pearl, the author of “The Dante Club.” The premise looked like a unique spin to one of America’s more tragic parts of history, the Salem witch trials. However the novel was a poorly written 375 page disappointment. I felt much like Connie; searching for a book. The characters (living and dead) were void of dimension, making it difficult for me to feel vested in her quest for Deliverance Dane. Th Bravo to whoever was responsible for the book jacket. I was drawn in by a glowing review from Matthew Pearl, the author of “The Dante Club.” The premise looked like a unique spin to one of America’s more tragic parts of history, the Salem witch trials. However the novel was a poorly written 375 page disappointment. I felt much like Connie; searching for a book. The characters (living and dead) were void of dimension, making it difficult for me to feel vested in her quest for Deliverance Dane. The modern portion of the tale was set in 1991. This reflects poorly on Howe’s ability as an author. Apart from one minor comment about the seemingly absurd use of a cell phone, there was not much else that grounded the reader in 1991. Her main character, Connie Goodwin uses pre Google research methods. A wild-goose chase for an allusive manuscript in 2009 would comprise of countless mind-numbing hours on the computer. I understand her need for Connie to search in card catalogues, and the ability to handle the actual books, it propels her through the plot. Howe should have wholeheartedly embraced 1991 time period with even half of the detail and accuracy as her tales of the 1690’s. I grew up watching Charmed and Sabrina the teenage witch , they were my life. So going into this book was solely based on the fact that it’s about witches and the history behind the famous *Salem Witch trials* . I have to say that this book receives a lot of bad reviews on goodreads but I enjoyed it, the writing-style was excellent and the history part was just juicy and tantalizing. Her amazing attention to detail was my favorite part, like the main character would describe the feel of old books and settings of a library which just enhanced my excitement. "Connie and Liz had often joked that grad students make terrible dinner party guest, because they cannot be gotten away from reading the spine of the books..."
The book essentially follows our main character *Connie* who is a smart history-buff who gets sent by her mom during the summer to clean up and sell her grandmother’s house but when she arrives at the abandoned house, she stumbles upon a key in a bible that has a scroll attached to it written “Deliverance Dane” and being the history geek that she is, her journey to discover a missing part in the Salem Witch Trials in 1680s begins. This book was told in Dual time-frame, In the 1990s and Interludes of the 1680s, which I absolutely love because at some point the similarities between them start showing up and I live for that stuff. I would advise you to go into this book not expecting a fast pace plot driven book, it’s definitely on the slower side and that was kind of a problem but the story still held my interest. The author also managed to add some witchcraft, magic and spells which just made the book special and also how she showcased the origin of the pointy-hat, broomstick riding, cat-owning witch cliché was so cool. In retrospect you could tell the author did her research and her passion on the subject shone through the main character. Overall the book surprised me at page 150 I was sure it would be an average book but It added magical realism and referenced “THE BOOK OF SHADOWS” *Charmed fans will get it*, I was sold. Highly recommend it if you like historical fiction, a hint of magic and old books. Spoilers possible... The plot of this book is about a modern graduate student's research into a primary source concurrent with the Salem witch trials. There were parts that were extremely well written. The historical sequences, particularly the hangings, were eloquent at times. However, I found so much = the storyline, events, locales and characters predictable, and at the same time, somewhat unbelieveable. I was distracted by the timeline, which seemed unrealistic. How could the main character Spoilers possible... The plot of this book is about a modern graduate student's research into a primary source concurrent with the Salem witch trials. There were parts that were extremely well written. The historical sequences, particularly the hangings, were eloquent at times. However, I found so much = the storyline, events, locales and characters predictable, and at the same time, somewhat unbelieveable. I was distracted by the timeline, which seemed unrealistic. How could the main character clean out this old family property, do all that primary source sleuthing, and have the paper written by the end of September? I felt as the clues presented themselves, Connie jumped to lucky conclusions, made assumptions and inferences. There were aspects that I figured out before the characters did, and I'm not a colonial history buff. Among other things, I guessed what all the bottles in the kitchen were. I knew the significance of the Puritan names and foresaw the connect between Deliverance and "Constance". I knew receipt and recipe were inter-changeable. An almanac was no earthshattering surprise. I just couldn't buy Connie or her instructor as Harvard material. This review has been hidden because it contains spoilers. To view it, click here. I really wanted to like this book as it's hard to find a novel that mixes historical elements and more contemporary ones, and the publicity for this novel suggested that Howe had been highly successful in doing so. But what I found was that this book was uneven: the projections back into the colonial New England past were compelling; those to 1991-1992 were filled with one-dimensional characters, highly predicable events, ridiculous coincidences, and superficial glosses on everything from love t I really wanted to like this book as it's hard to find a novel that mixes historical elements and more contemporary ones, and the publicity for this novel suggested that Howe had been highly successful in doing so. But what I found was that this book was uneven: the projections back into the colonial New England past were compelling; those to 1991-1992 were filled with one-dimensional characters, highly predicable events, ridiculous coincidences, and superficial glosses on everything from love to history to the universe and its workings. I have to say--as an art historian whose area is ancient and, therefore, who often deals with precious and delicate materials--that the heroine's touching of one text with her bare hands and throwing of another one into a fire are unconscionable, even if fictional! Moreover, Howe wrote the "villain" as so caricatured from the outset that the reader was immediately clued in that this was not going to be suspenseful in any way. Finally, Howe's heroine "Connie" who supposedly had done better than almost anyone her committee had ever seen on her qualifying exams, was rather obtuse about every little aspect of the supposed mystery she was unraveling. In the 90s, there was a series called Poltergeist the Legacy. It was about a group of people who investigated paranormal mysteries. It was kinda good. There was an episode that supposedly took place in Boston. The series supposedly took place in San Fran but considering that the money was always marked with Queen Elizabeth II's head, the series was mostly likely filmed in CA. 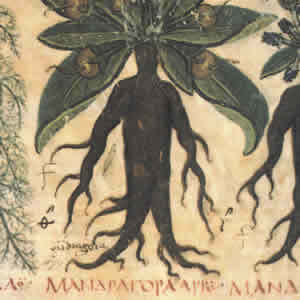 Anyway, the Boston show was about a history grad student who discovers that her ancestor might have been a witch. Go watch In the 90s, there was a series called Poltergeist the Legacy. It was about a group of people who investigated paranormal mysteries. It was kinda good. There was an episode that supposedly took place in Boston. The series supposedly took place in San Fran but considering that the money was always marked with Queen Elizabeth II's head, the series was mostly likely filmed in CA. Anyway, the Boston show was about a history grad student who discovers that her ancestor might have been a witch. Go watch that instead of trying to read this book. At the very least, you can drool over good looking people. I do not know how this got named one of the top ten books of 2009 as well as all the other endorsement blurbs on the cover. Maybe, newspapers and magazines should comission reviews by people who (a) actually read (b) actually read more than one fantasy novel per year or (c) have intelligence. The book sounds promising, if making use of an already used idea (Marion Zimmer Bradley and Anne Rice have used similar ideas in thier witch books). The book fails, however, really, really fails. The first and major problem is Connie, a.k.a Mary Sue. 1. She's smart and everyone else knows it but her. 3. She doesn't sound like a dog owner. a. She doesn't have any basic research skills. 8. Her advisor is a sexist dude. (Oh dear). Additionally, why does everyone in Boston who encounters Connie and who is not academic act rude? Honestly, if I were running an archive and some stupid bimbo showed up in cut offs and flip flops (but seemingly without a shirt, considering we are not told what that looks like), I might not be so willing to hand over the keys either. Then she meets her true love. Nice! There are a few tropes that will convince me to pick up almost any book that promises to contain them. 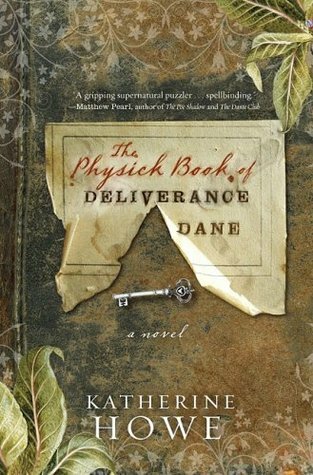 I’ll call one of them “Searching for a Long-Lost Book,” and another “All My Forebears Were Secretly Witches.” Katherine Howe‘s The Physick Book of Deliverance Dane features both of these, so it’s no surprise that I’d wanted to read it for a long time. I confess I was privately hoping for a book that combined the awesomeness of two of my all-time favorites: A.S. Byatt‘s Possession and Anne Rice‘ There are a few tropes that will convince me to pick up almost any book that promises to contain them. I’ll call one of them “Searching for a Long-Lost Book,” and another “All My Forebears Were Secretly Witches.” Katherine Howe‘s The Physick Book of Deliverance Dane features both of these, so it’s no surprise that I’d wanted to read it for a long time. I confess I was privately hoping for a book that combined the awesomeness of two of my all-time favorites: A.S. Byatt‘s Possession and Anne Rice‘s The Witching Hour. Despite its inclusion of the Salem witch trials, however, this is a lighter read than either of those: cozier despite the tragic history behind it, and neither as rich nor as twisty. 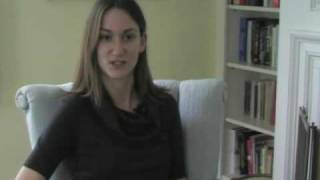 Connie Goodwin is a Harvard graduate student specializing in American colonial history. Just as she’s about to start her dissertation research, her mother asks a favor of her: go through the ancestral house in Marblehead, Massachusetts and clean it up for sale. While exploring the house, Connie learns that a long-ago ancestor, Deliverance Dane, may be a Salem “witch” heretofore lost to history. Unlike the other victims of the witch craze, though, Deliverance may have actually had magical power and left behind a grimoire. Connie is drawn into the mystery of the missing spellbook. The chapters detailing her search are interspersed with flashbacks to the history of Deliverance, her book, and her descendants through the years. Katherine Howe, who is descended from two Salem “witches,” takes us on a vivid tour of Massachusetts. The Physick Book of Deliverance Dane has sense of place in spades, from the old house itself to the sailing bar to the tourist kitsch of modern-day Salem. Another aspect of the setting that should be mentioned is time. The “modern-day” sections take place in 1991, though the book was published in 2009. 1991 is close enough to the present that it’s easy to forget it’s not — that is, until Connie encounters problems that could be solved with a cell phone or the Internet. We wonder why she isn’t making use of these amenities, then realize a moment later that they simply aren’t there. I also enjoyed the character development of Connie. She’s closed-minded and closed-off as the novel begins, and begins to open her life in more ways than one as the story unfolds. There’s an adorable dog, too, which never hurts. Another strong point is Howe’s look at the way women’s writing was often disdained in academia, historically speaking. The way this ties in with the grimoire’s eventual location is clever. And after some of the books I’ve read lately, I have to give Howe props for writing a love interest who isn’t superhuman or creepy or both; he’s just a regular guy, and in fact I liked him better than I did Connie. What doesn’t work is the mystery. First, it relies too heavily on Connie being slow to catch clues that would be unlikely to befuddle a grad student in her field. Second, and more problematically, the villain is just too obvious — painfully so. This book felt like it was intended for middle-schoolers; pedestrian writing, uninteresting characters, and a connect the dots plot. The historical sections sounded like they came straight from Wikipedia. Connie is contradictory and rather dim. One minute she barely remembers her grandmother, the next she vividly recalls a holiday with her. I could have overlooked that, if the story had been more convincing. I am beyond baffled by Connie's inexperience with the library at the college she attends. This book felt like it was intended for middle-schoolers; pedestrian writing, uninteresting characters, and a connect the dots plot. The historical sections sounded like they came straight from Wikipedia. I am beyond baffled by Connie's inexperience with the library at the college she attends. As a Ph.D candidate in colonial history, she would have spent countless hours in the library. She should have known that the digital catalog only went back to 1972, and that anything older needed to be researched in the card catalog. Her unfamiliarity with colonial language, names, and commonplace spelling variants was perplexing as well. There were several scientific and historical errors, and I found myself exclaiming in disbelief at the time, but the specifics elude me now. I only continued reading in hopes that the ending would be interesting. It wasn't. Connie Goodwin, like many young women, has issues with her mother. So when Grace asks her daughter to interrupt her doctoral research at Harvard to go to Marblehead for the summer and ready her grandmother's house to be sold, Connie wonders why she agreed. And that was before she walked into the ancient cottage that has no electricity. Connie's knowledge of Colonial history, her chosen field of study, comes in handy as she learns the secrets of the past occupants of the house, one of whom was tried in the Salem witch trials. As Connie digs deeper into the past, she finds herself being catapulted into a world of witchery and magic, the very things her own mother has made her run far and fast from. I very much enjoyed reading this book. So far in 2016, it is up there as a favorite read. I didn't expect to get slightly emotional at the end as I pondered the fates of the women accused of witchcraft in the Salem Witch Trials. Katherine Howe made their fates and helplessness against a suspicious, hysterical society very real and poignant. I didn't realize that the four year old daughter of one of the condemned stayed in prison and subsequently lost her mind from the the experience. Her father I very much enjoyed reading this book. So far in 2016, it is up there as a favorite read. I didn't expect to get slightly emotional at the end as I pondered the fates of the women accused of witchcraft in the Salem Witch Trials. Katherine Howe made their fates and helplessness against a suspicious, hysterical society very real and poignant. I didn't realize that the four year old daughter of one of the condemned stayed in prison and subsequently lost her mind from the the experience. Her father sued for help with her care as a result of the imprisonment. A sad, fascinating period in American history where I'm sure these women felt the world had lost its mind. This book isn't solely about the trials. Harvard graduate student Connie Goodwin should be spending the summer working on her doctoral dissertation. Her advisor, Chilton, broodily is advising her and seems to have a strong ulterior motive for her success. However, Connie's mother, the free spirited Grace, needs her to clean out her grandmother's abandoned house near Salem. When Connie arrives, she finds a moldering old house buckling under the weight of disrepair, garden overgrowth, and disuse. The bones of the house are strong and Connie finds herself relaxing into its comfort as she sorts through her grandmother's possessions. When she finds an ancient key in a 17th century Bible with a piece paper hidden in it with the name Deliverance Dane; her curiosity is piqued. Connie begins to research who this Deliverance was and what was her story. Haunted by visions of the witch trials and life in 1692, Connie realizes that her path and Deliverance's are intertwined. To put all the pieces together, she must find the receipt book or the physick book of Deliverance Dane to connect the puzzle. Something or someone sinister is lurking and Connie is running out of time before someone she loves suffers. Where I got the book: purchased on Amazon. A Sunday in the Park book club read. The plot: Harvard grad student Connie is assigned by her mother to clear out her grandmother's house, and discovers her connection to the Salem Witches. I was, on the whole, underwhelmed, which is what happens when you pick up a book that's touted as a Brilliant Bestseller! Spooky! Bedeviling! and find that the writing's that of a newbie writer, good on the important points of grammar and generally stringing words toge Where I got the book: purchased on Amazon. A Sunday in the Park book club read. "Anothah time," she began again, "I ha' sought physick from heh for a pained foot. She bade me entah heh house and did apply some liniment to my foot which she made by mashing hairbs and readin' in some book. I asked her what book war this and she said nowt but placed the book on a high shelf and asked me if my foot weh feeling bettah, which it was." And it really wasn't all that spooky. Or bedeviling. But the stepback cover on this edition was COOL and almost made up for Connie's stupidity. For a Harvard doctoral student she was pretty darn slow on the uptake, missing all the totally obvious clues strewn in her path. I'll admit, I picked this book up in the New Fiction section of my library based on the title and the cover (great design). Based on the description and the excited blurbs (by author's I've never heard of, I'll admit) I checked it out hoping it might be something like A.S.Byatt's very literate, very suspenseful Posession. Boy was I mislead. It reads more like a weirdly misguided YA novel (misguided in the thought that the average YA reader would be interested in the academia). The writer really I'll admit, I picked this book up in the New Fiction section of my library based on the title and the cover (great design). Based on the description and the excited blurbs (by author's I've never heard of, I'll admit) I checked it out hoping it might be something like A.S.Byatt's very literate, very suspenseful Posession. Boy was I mislead. It reads more like a weirdly misguided YA novel (misguided in the thought that the average YA reader would be interested in the academia). The writer really doesn't trust her audience to have any kind of imagination or background knowledge. I couldn't get past Chapter 4 of this. There were too many false notes. For example, would a young Ivy League grad student fully immersed in researching Colonial American history really be aware of the Seattle grunge music scene in the early summer of 1991? "Nevermind" wasn't released until September of '91. Of course, that could be nitpicking, but there are other inconsistencies. Isn't it simply enough to point out a character speaks with an old fashioned Brahmin Bostonian accent? Why would a native of Concord, Ma even notice such an accent? Yet there is an overly lengthy passage describing it from her point of view. The main character has spent four years at Mount Holyoke and two years under this man's tutelage at Harvard yet she finds herself distracted by his Bostonian accent? While I'm on the subject of accents, the author seemed to be obsessed with them. She has some characters speak in jarring Massachusetts dialect. I am really not a fan of indicating dialect with clumsy phonetic spelling. I think it is a poor substitute for thoughtful writing and it is condescending to the reader. I was born and raised in Southeastern Mass and Rhode Island. I know the accent. I don't need it spelled out for me. Of course, she is not writing for an audience of one but I think most Americans these days can imagine a Massachusetts accent. Certainly anyone who has heard a Kennedy speak (and these days, who hasn't)is able to conjure a facsimile. I realize that not all Massachusetts accents are the same but when she has certain working-class characters speak in dialect it is with an air of condescension I find grating. I would have let these things go had it not been for the silly, Lifetime Original Movie tone in which the plot is slowly unveiled. The helpful, loving friend who accompanies her to the mysterious old house which,for some reason, although it is located in Marblehead, an area of Massachusetts which is home to a large community of artists, has not been snapped up and renovated. And by the way, does this friend (a Latin scholar) really need to explain to a history scholar that "Sophia" (the main characters "Granna's" name---and don't get me started on that cutesy name) is the Greek for wisdom? Couldn't the author have imparted this information in a less clumsy way? I finally gave up at the end of Chapter 4 in which Connie just happens to meet a handsome fellow scholar while researching a slip of paper in nearby Salem. This scholar just happens to be repairing the steeple of the church so clearly he is good with his hands. Connie has a house that needs a lot of work. Hmmm....Anyone who has watched a Lifetime movie can predict where this story is heading at this point. I might spend a couple of hours giggling with my daughters over this plot if it were a cheesy Lifetime offering (in fact my youngest and I did watch a LT movie about a teenage girl who moves to a spooky old New England house with her mom and is haunted by the ghost of a distant ancestor who was burnt as a witch). I can't justify spending five or six hours on this silly book. I wouldn't even read this at the beach, personally (although I've never been a fan of so-called "beach reads") but that is how I would market this awkward clunker. This review has been hidden because it contains spoilers. To view it, click here. I'm glad that I don't own this book. I would have been really annoyed if I bought it in hardcover. I've clicked the little "spoiler" box here at Goodreads, but if you read this book in another way, you are hereby warned. This review contains spoilers. Massive spoilers. That's not normally my idea of a good review, but I have to be somewhat specific with my complaint here. There. You're warned. If you keep reading, it's your choice. I found this to be a good, entertaining book on many levels. In th I'm glad that I don't own this book. I would have been really annoyed if I bought it in hardcover. I found this to be a good, entertaining book on many levels. In the afterword, Katherine Howe noted that there have been several books explaining the reasons behind the Salem Witch Trials. Social anxiety. Conflicts within the church. Greed. Moldy bread. All of these reasons have been covered many times. (The moldy bread is my favorite.) However, she wanted to write a book where the witchcraft was real--as the people of Salem believed that it was real. She acts like this is a new idea. It's not. Celia Rees' Witch Child is just of the many other books that works from the same premise. The first chapter of this book is a peak into Salem's past. The second chapter is Connie's qualifying exam (QE). As a recent Ph.D. candidate myself, I can say that Howe did an excellent job describing the exam. Unfortunately, she also did a great job telegraphing the identity of the villain--as well as every major plot point. There were no surprises here for me. It could be that Howe did a good job foreshadowing those plot points--or it could be that they were just too predictible. I'll leave that for other readers to decide. I don't know whether I should appauld Howe's audicity or groan in pain when in comes to the villain. The greedy, overreaching dissertation director? Too stereotypical to be believed. I think I would have given this novel a higher rating if not for the villain; his identity is pretty clear straight from the QE. I loved the concept of a spellbook being uncovered in modern times and flashbacks to the Salem Witch trials of 1692. There is intrigue. Add a little bit of a thriller that other more sinister people wanting the book and you've got a cracker of a plot and an adventure story. The problem is that the character, Connie, and the logic she applies doesn't match the qualifications she has from Harvard. She's a bit dumb. It was also difficult to develop any empathy for Connie, which should have been a given, considering she should have been dealing with a personal historical weight on her shoulders. There is an interesting link through the 2 time periods not only to add intrigue to the narrative but on another level to suggest that what constrained social thinking between 1692 and nowadays is completely different from a spiritual, social, moral and legal perspective. There has never been a genuine grimoire, aka book of shadows or spell book, found in the US. When Harvard doctoral student Connie Goodwin moves Marblehead, MA to rehabilitate her grandmother's historic home, there are many signs and portents that suggest that Connie may be hot on the trail of the first American grimoire. Her major advisor, Manning Chilton, shows a particularly intense interest in her search, and when Connie's new guy, Sam, has a surprising accident and falls prey to uncontrollab There has never been a genuine grimoire, aka book of shadows or spell book, found in the US. When Harvard doctoral student Connie Goodwin moves Marblehead, MA to rehabilitate her grandmother's historic home, there are many signs and portents that suggest that Connie may be hot on the trail of the first American grimoire. Her major advisor, Manning Chilton, shows a particularly intense interest in her search, and when Connie's new guy, Sam, has a surprising accident and falls prey to uncontrollable seizures, she is forced to take actions that she would otherwise consider insane. In the course of the crisis, Connie discovers who she is.